Crestwood’s American River campus includes American River Residential Services (ARRS) and American River Psychiatric Health Facility. Both programs strive to support each client by honoring individual recovery journeys, providing services based on strengths and self-determined goals, introducing effective tools and problem-solving strategies, and supporting healing and improvement of quality of life. Through the provision of socially conscious, evidence-based service practices, we are committed to addressing four significant universal needs, or pillars, upon which our recovery strategies are based: Meaningful Roles, Spirituality, Hope, and Empowerment. All of our staff receives training in Trauma-Informed Care. We are dedicated to providing care that is supportive and productive, and we value mindfulness. Our programs offer Wellness Recovery Action Plan (WRAP), which supports recovery by developing individual, self-determined directives to address life-challenges, promote self-awareness, establish and focus on goals, and take personal responsibility for improving one’s own health. Crestwood’s American River campus extends an invitation to those receiving services here to participate in our Dialectical Behavior Therapy (DBT) program. Classes introducing DBT concepts and tools are offered at our Psychiatric Health Facility, and a complete DBT program is available to ARRS clients. American River Residential Services and American River Psychiatric Health Facility are participants in the Crestwood Heart Healthy Diet Initiative. We respect that physical and mental health are interrelated, and believe we have a responsibility to support both aspects in recovery. We partner with Dreamcatchers Empowerment Network to provide employment opportunities to our clients, recognizing the many benefits of work as a way to increase self-esteem and strengthen one’s sense of identity, as well having an income. As a community service, we offer our site to local schools as a resource for training LVN, RN and LPT candidates during the psychiatric rotation. We also offer a limited number of supervision opportunities to interns in Clinical Social Work, Marriage and Family Therapy and Clinical Counseling programs. American River Residential Services (ARRS) provides recovery and support services to up to 28 adults who benefit from round-the-clock, non-medical, care and supervision in a community-based, residential program. Our facility features a homelike, relaxed environment and we are licensed by Community Care Licensing. Services reflect our values of caring, compassion, kindness, dignity and respect. Our relationship with each individual client is the basis for developing a rich, diverse program that fosters growth, change, and independence. Our 16-bed acute care unit assists adults experiencing a mental health crisis by providing a safe, secured, comfortable setting and ready access to psychiatric and social services. This intense program is focused on returning those we serve to a less restrictive environment, linking them with resources, addressing any medication challenges, and teaching skills for managing difficult events and experiences. 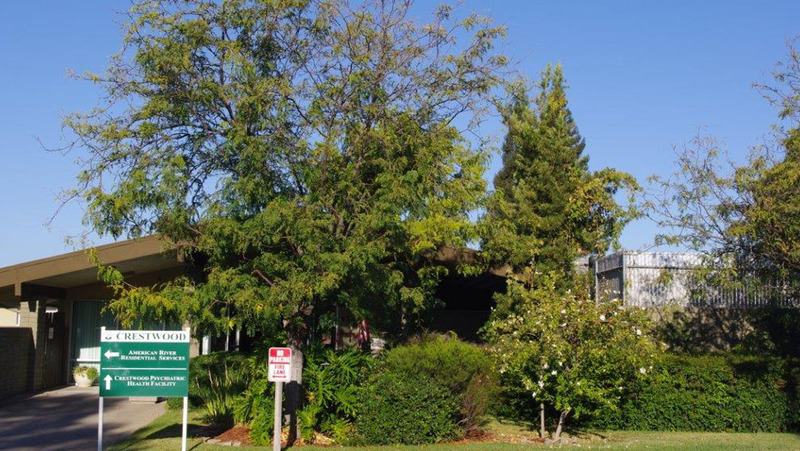 Crestwood's American River campus is accredited by the Commission on Accreditation of Rehabilitation Facilities (CARF), which provides international standards for rehabilitation organizations to follow that promotes the quality, value and optimal outcomes of services. Crestwood believes this accreditation demonstrates our unwavering commitment to achieving and maintaining the highest level of care and rehabilitation.